We welcome all visitors to our course and trust they enjoy their golfing experience. Additionally we value any constructive feedback that will help us improve our course, service or facilities. Members of clubs with reciprocal agreements receive a discount of 50% green fees for social golf. Visiting golfers with an official handicap are welcome to play in 18 hole JGC events for 50% green fee ($15) plus competition fee ($12). The only difference is for visitor entry in the Monday Veteran’s Competition which is 50% green fee plus $7 competition entry. Saturday Men’s and Ladies Time sheet bookings required. Sunday Men’s and Ladies Time sheet bookings required. 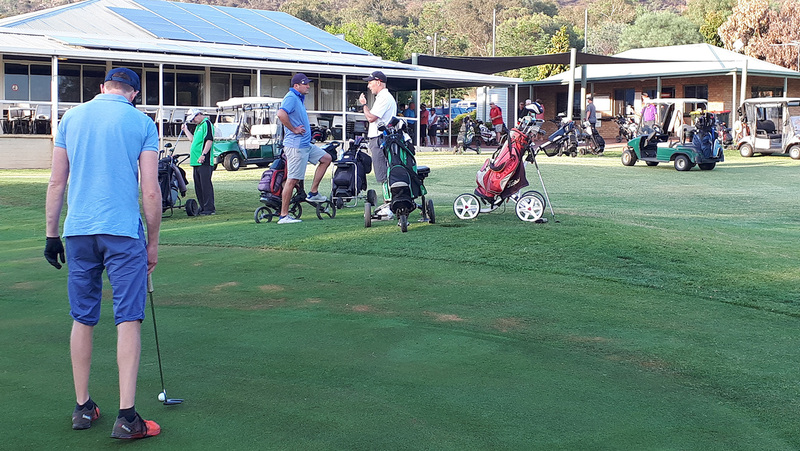 Monday Veteran’s Muster 8.00am for 8.30am shotgun tee off. Tuesday Ladies Summer 8.00am tee off, other months 9.30am. Wednesday Men’s 18 Hole No bookings required. Wednesday’s (During Daylight Savings) Men’s and Ladies 9 Hole No booking required. Tee off until 6.00pm. Thursday Ladies Summer 8.00am tee off, other months 9.30am. Jubilee Golf Club offers a 50% reduction in Green Fees for members from Reciprocal Rights Clubs.